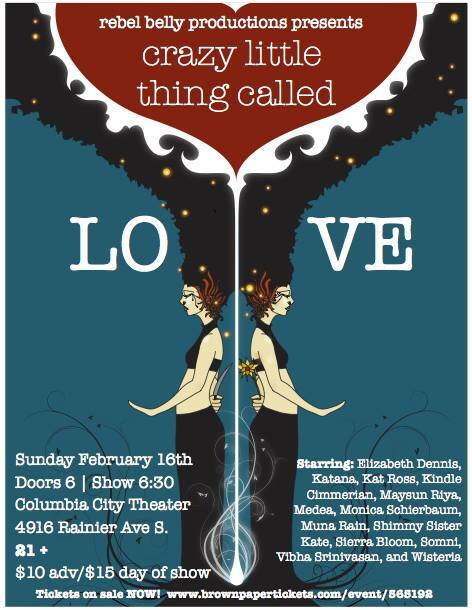 Rebel Belly Productions presents “That Crazy Little Thing Called Love” this Saturday at Columbia City Theater. through the magic and movement of dance. 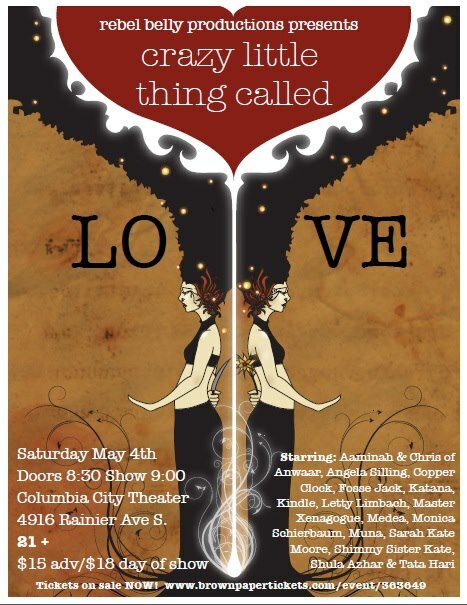 Starring: Aaminah & Chris of Anwaar, Angela Silling, Copper Clock, Fosse Jack, Katana, Kindle, Letty Limbach, Master Xenagogue, Medea, Monica Schierbaum, Muna, Sarah Kate Moore, Shula Azhar & Tata Hari! The show will be split into two acts, illustrating the “light” and “dark” sides of love. 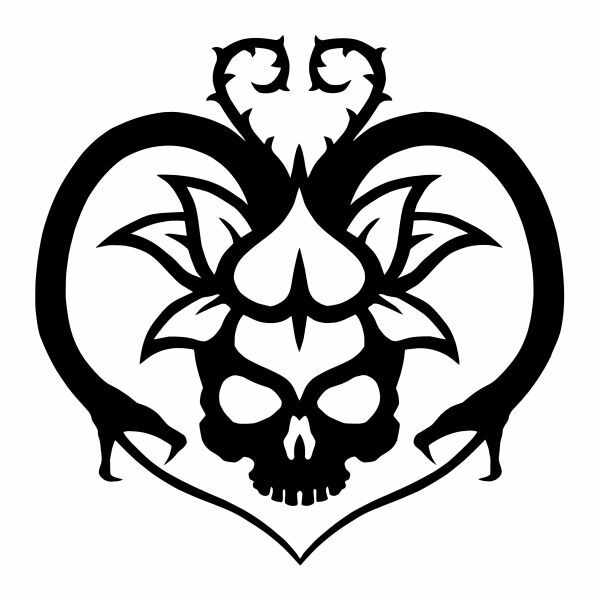 Kindle of Black Lotus Kult will be performing in both, to the music of COIL, Elliott Smith, The Magnetic Fields and Emilie Autumn.